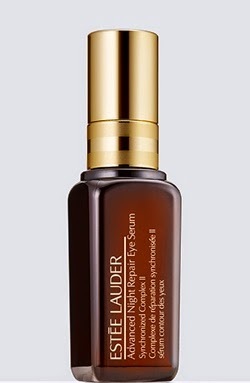 I´ve always been a huge fan of Advanced Night Repair from Estée Lauder, having used the face serum daily for the past seven years now. The other day I bought the new Advanced Night Repair serum for the eye area. Lately I´ve been battling with a dryness under my eyes (maybe due to the fact that I wear a lot of concealer) and no eye cream has been enough. After just a few days of use, I already feel softer under the eyes and the dryness on the surface is getting much better. This serum is supposed to work before you apply the regular eye creme. I have also been using the Advanced Night Repair eye gel, but since that one is supposed to work on its own it hasn´t been enough for me after turning 40. This new serum fits perfectly instead, together with an eye creme. A real keeper.